Outdoor Research Seattle Sombrero hat. Outdoor Research has a funny sort of brand name. When I first encountered Outdoor Research (or, "OR" as we like to call it here at Bogong Equipment), I wasn't sure what it was. A brand? A science project? It turns out – yes, it is a brand. And, one that has been around for a while. It's not super wide-spread in Australia, and that's because this premium brand is only available at select stores around the country. In this article, I'm going to introduce you to my six favourite items from Outdoor Research, which I've had the pleasure of using over the past few years. 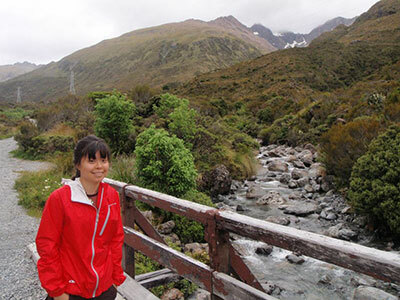 The author in her OR Helium jacket, at a pitstop near Arthurs Pass, en route to Castle Hill, New Zealand. I'm fairly certain that the OR Helium jacket was my first Outdoor Research purchase. And, it's been a staple in my outdoor wardrobe for years, and it's still going strong. OR has since produced a second iteration, called the OR Helium II Jacket. Basically, it's the improved version of what I've got, but it serves the same purpose. It's a super lightweight, packable rain jacket. I want to be clear – this isn't my walking-in-Tasmania rain jacket. (I've got another jacket for that.) 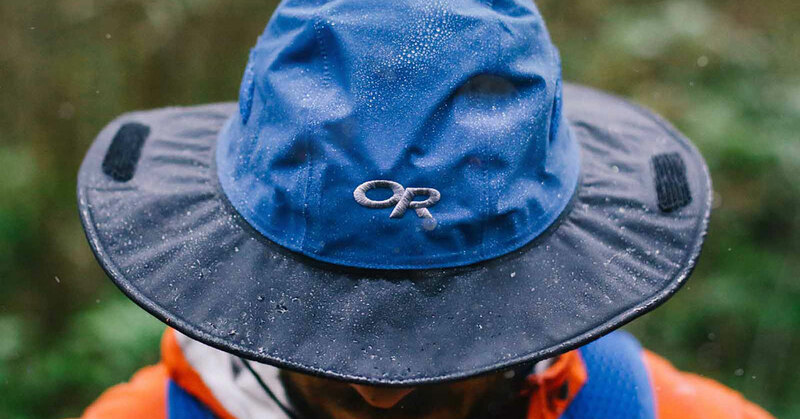 The OR Helium is my go-to, just-in-case, multi-pitching, trail running, travel-friendly rain jacket. The women's Helium II is just 156g. Here's the thing that sets it apart from your average plastic poncho: it's a technical product. The fabric OR uses for this jacket is 2.5-layer 30-denier Pertex Shield DS ripstop: the fabric has an inner coating bonded to it, plus another protective layer applied to the outside. (You can get 3-layer fabrics, but these tend to be stiffer and are for garments that serve a slightly different purpose.) A 2.5-layer fabric breathes well and is flexible enough to allow you to move dynamically in it (e.g. trail running, climbing). 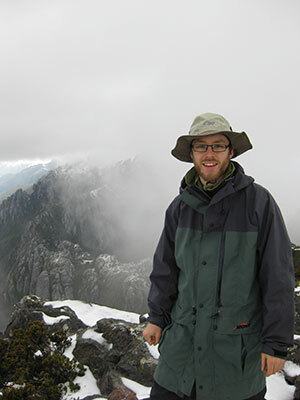 I've worn this jacket a lot for winter multi-pitching at Arapiles where I've been caught in rain showers. Apart from the fabric choice, it's also a simple jacket that's cut and designed well, using quality components like water-resistant zips. 'Crocs' have been around forever, and for a good reason. They're really good, lightweight yet bombproof gaiters. I started off my hiking adventures with thick, burly canvas hand-me-down gaiters (which, admittedly, I still love, because I'm a bit old-school). But I joined the 21st century when I got a pair of OR Crocodile Gaiters. 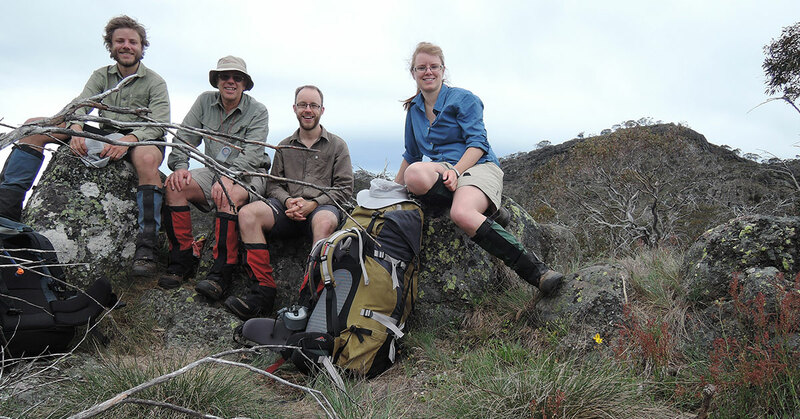 There's a reason OR Crocodile Gaiters are the business when it comes to bushwalking gaiters. They're light, but seriously tough. The gaiter is made of 3-layer Gore-Tex, and the main leg panel is a 70-denier nylon. Around the ankle, the fabric is a bombproof 1000-denier (thick! durable!) woven panel. The Velcro closure is also extremely strong, and is backed up with an extra lower tab and top webbing. Bogong staff David Blundy models the OR Seattle Sombrero in Tasmania. Bogong Equipment owner Neil Blundy – who has done extensive multi-day bushwalking in the toughest conditions over the years – absolutely swears by these. The Seattle Sombrero™ was introduced in the mid-80s and is another of those classic OR products you will have seen everywhere. It's a daggy-bushwalker-style-hat (I'm bagging myself out here – because I own one!). And, it's the best rain hat you'll ever own. A little detail that brings this hat to the next level is the soft, tricot lining. Snuggly and warm. Perfect for downpours in Tasmania. The next OR must-have is a pair of gloves. Now, I've got the women's Flurry Gloves, but there is literally a wall of OR gloves in our shop, and I would happily place any of those gloves in this top-six-favourites spot. However, the Flurry is the first OR glove I got, so let's stick with that. There are several versions of the OR Flurry (men's, kids', women's). Why? Everyone uses them. They're an excellent all-round glove. The OR Flurry is made of a thick, knitted wool-blend fabric that is very robust and protective, yet still allows you enough dexterity to go about your business. Silicone strips on finger tips and critical palm areas help with grip. And, leather tabs help you pull them on. 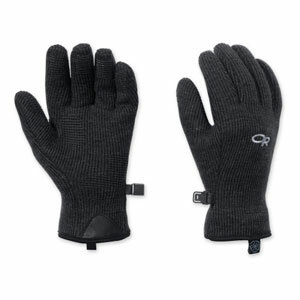 These gloves are equally at home around town and in the outdoors, which is what makes them such a good investment. Oh, Ferrosi, how I love thee. These are the best lightweight outdoor pants I own. There's something about the stretchy, crinkle-resistant fabric – and the perfect, flattering yet movement-enabling cut – that makes this pant one of the best, if not the best, pant in its category. 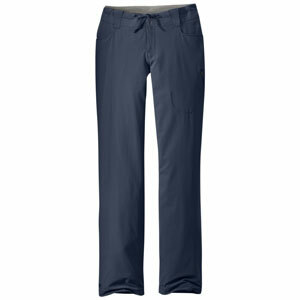 In terms of fabric weight, OR Ferrosi Pants are the perfect summer pant – whether you're hiking, climbing or travelling. They dry super quickly and they're airy and breathable. Ferrosi pants are a summer staple for me, but, I've also used mine in in the snow by teaming it up with baselayer leggings underneath. And, Ferrosi Pants layer really well. There are a lot of lightweight, quick-drying pants out there, but for some reason, I keep coming back to my Ferrosi pants for their comfort and technical genius. I'll be honest: The OR Wind Warrior is not the world's most attractive hat. I wouldn't rock up to a blind date with it, but it saved me from so much discomfort on a climbing trip to Point Perpendicular last year. Point Perp is a coastal cliff. And, a lot of the climbs we did were on very windy faces, where strong gusts blow up from the roiling ocean below. Huddled at the belay at the base of a shady wall, it can get really cold. That's where the OR Wind Warrior came in. I knew I needed not just any beanie, but a wind-resistant one that would be thin enough to wear under my helmet, but warm enough to effectively keep me warm. Even in the midst of a strong, Point Perp wind. I'm happy to report that it did everything I hoped for. 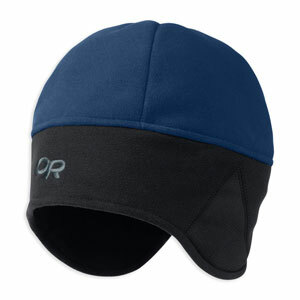 The Windstopper fabric did, indeed, stop wind from chilling my head. And, the cozy ear panels kept my ears comfortable. There you have it. My six favourite Outdoor Research items. See our range of Outdoor Research gear.